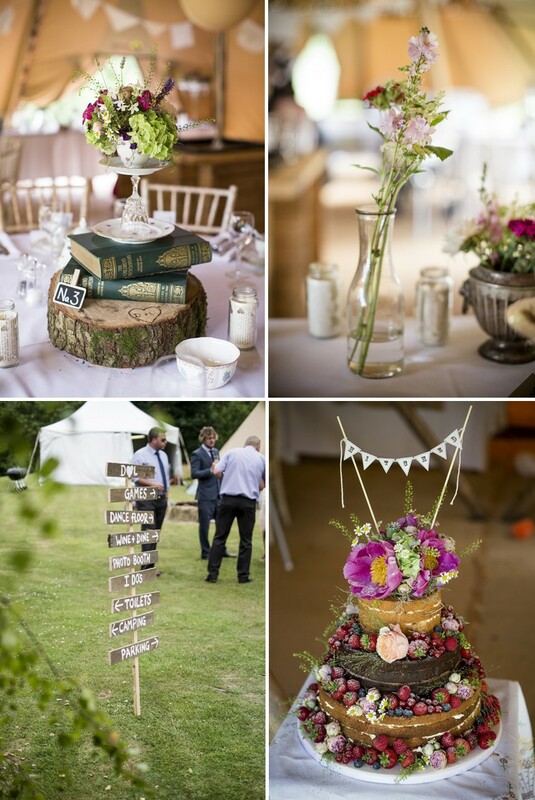 Friday is finally here, and with it we have a visual feast of a wedding for you. 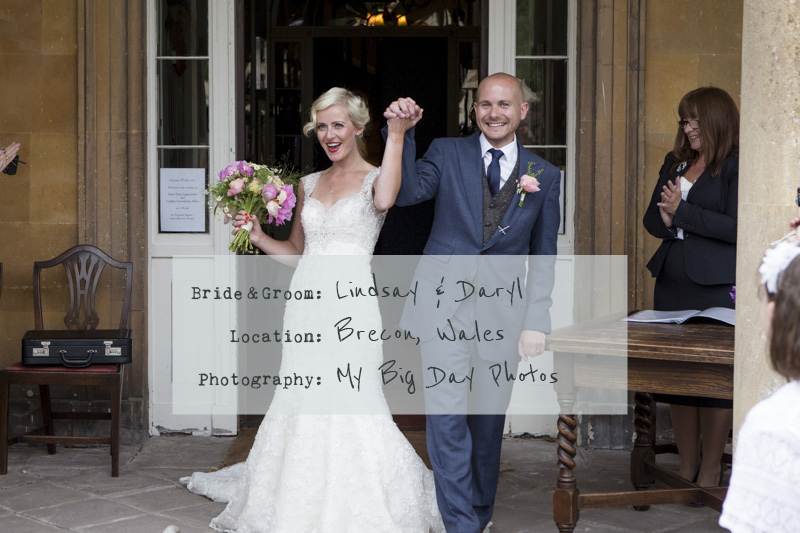 Lindsay and Daryl married at the height of summer in a beautiful 17th Century House in the Brecon Beacons – it truly does look like a magical occasion. 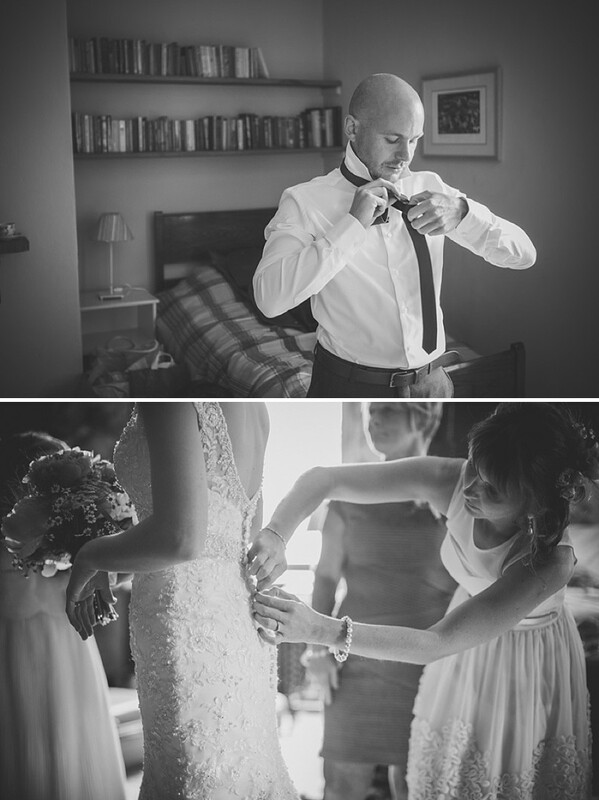 With Martin Ellard’s images and Lindsay’s words, the sense of building anticipation that surrounds a wedding has been captured beautifully. 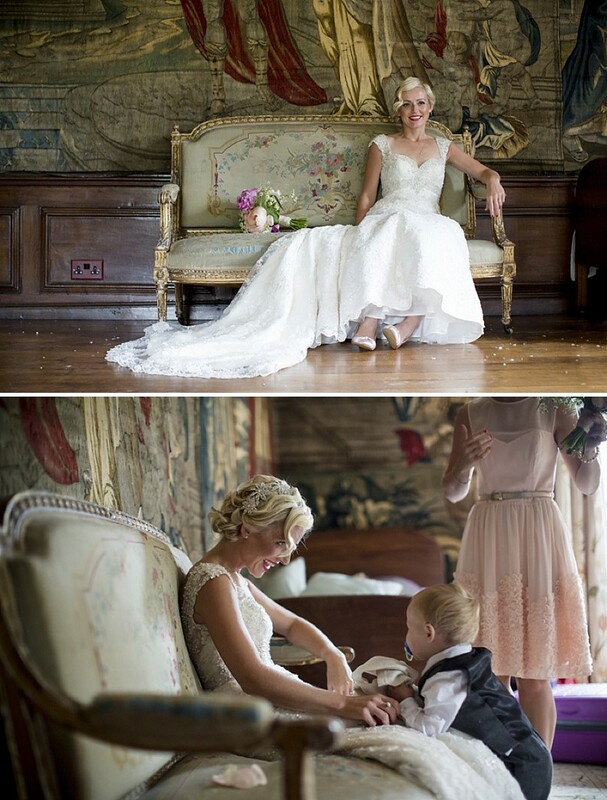 So please – get yourselves comfy and indulge in this sumptuous Welsh wedding. Lindsay The Bride: The venue was perfect from the first time we saw it. 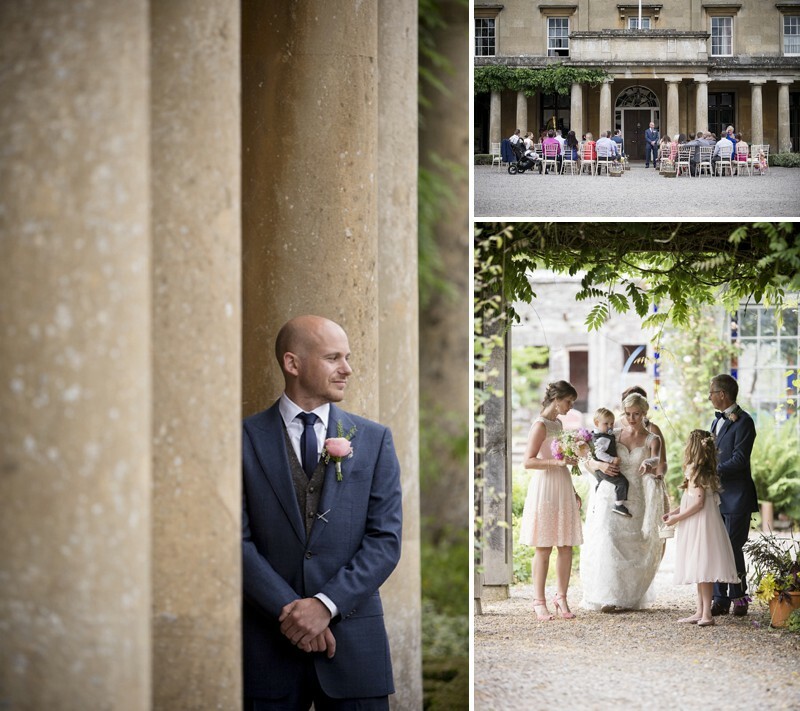 We wanted an outdoor and relaxed wedding, nothing too formal or traditional – and it certainly didn’t disappoint. Penpont had a touch of the spectacular without the usual fuss, and just getting married on a porch was so easy and natural. The porch just happened to be that of a 17th Century House set in a 2000 acre rural estate within the Brecon Beacons. It’s tough to find a place outdoors to get legally married, and the fact that the porch was a licensed area of the venue meant that we could stand outside and read our vows, with our guests sitting outside too. All we needed now was the good weather. You can’t guarantee good weather, but we had picked the hottest day of the year – statistically speaking – so we gave ourselves the best possible chance. We setup a giant tipi on the front lawn, ready for dinner and the reception. We also had games and bales of straw. The surroundings were vast and open, yet seemed so intimate. 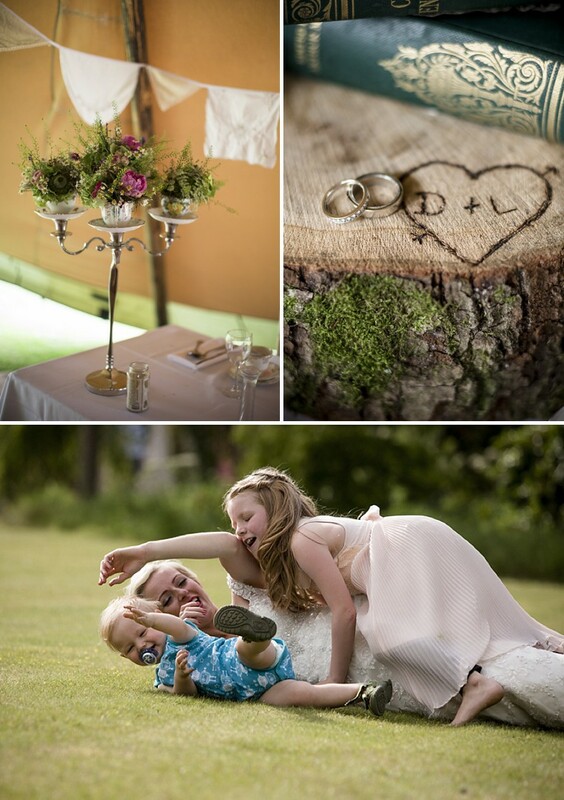 We also loved that guests could camp if they chose, it added to the relaxed feeling surrounding the wedding. When the band arrived the day before and started practicing it all started to click into place and the atmosphere began to build. Guests that were staying, either in the courtyard wing or camping, started to arrive and the night before the wedding ended up being a magical event of it’s own – sat on straw bales with the band playing, singing around the camp fire until the morning sun arrived. I wanted classic vintage style with finger waves and a red lip. I also wanted to continue the relaxed feel with the bridesmaids having loose curls and flowers in their hair. My daughter Skye had something slightly different as loose curls wouldn’t have lasted long when she was doing kartwheels! She had a plait at the top of her head in a shape of a heart, also with flowers. The make up was done by Farhana Ali, she did a beautiful job, I looked like the vintage bride I hoped for, with a bright red lip and black eyeliner. She also did henna on my feet, I always wanted it done and the wedding was the perfect opportunity. She free hand drew it and it looked stunning, a lovely addition and perfect for the honeymoon. I hunted high and low for my dress, I loved dress shopping, maybe thats why it took so long to find… Ironically I found it in the last shop, the dress by Mori Lee, was ivory fishtail with lots of lace and quite a lot of sparkle. I’m never one for a lot of sparkle, so it surprised me the most that this was the perfect dress. I loved it, especially the back and lace cup selves. The dress had quite a long trail but easily clipped up with the bridesmaids help! Daryl wanted to wear something that combined country, vintage and a sense of occasion. His initial idea to tackle this was to wear a tweed suit. But tweed suits are a little hard to come by. Tweed jackets, sure, but the whole suit – no. Not unless you had one made – An expense which we didn’t think was worth it, especially given that suits would also be needed for The Father of the Bride and Best Man. After looking online, Daryl found a forum talking about suits in London and someone suggested Suit Supply as a good value option, with a unique range. After checking out the website and loving the style, we went to London to visit the shop. Daryl walked in looking for a tweed suit but left with something entirely different – A blue cloth Italian style suit, which although not tweed, was ‘different’ enough to tick the right boxes. He found tweed waistcoats online that worked perfectly, and I found ties in Topman that helped the navy and brown colour scheme go together along with a white shirt and brown shoes. I decided against a veil as I found it took it away from the dress. So I went with a ‘very sparkly’ diamond head brooch. Jewellery was kept quite simple as there was enough going on. I went for simple diamond studs and very thin necklace. Shoes were a similar colour to the bridesmaids dresses, a light blush colour – not that you see your shoes! My Bridesmaid, my sister Rebecca and Maid of honour Kelly, wore dresses from Debenhams. We were in there one day not looking for bridesmaids outfits and came across them, they were perfect, the light blush colour, really floaty and slight ruffles at the bottom. They matched them up with coral strapped shoes. My daughter Skye wore a dress similar to the girls but was from Monsoon UK, it had a little sparkle detail which suited her perfectly. Groomsmen wore a blue cloth Italian style suit with tweed waistcoats and brown shoes. My son wore a tweed suit from Marks and Spencer, I paired it up with braces and it looked delightful – not that he stayed in it for long! Rustic and relaxed was the theme with a splash of fine china. I didn’t really have a colour, I really liked the colour blush and the bridesmaids were that, but as for the rest I had lots of colours. We had lots of different colour vintage china and the table decorations were created by My Vintage Flower, they were perfect for our theme, fine china and wooden trunks engraved with our initials just like our wedding invitations. The centerpieces displayed beautiful flowers with lots of green and pink set in vintage tea cups and glasses. The flowers from Blush were perfect, natural, just picked out of a field look. With moss, daises, mint and ponies taking center stage. My bouquet had the same flowers loosely tied with a little lace, very organic and relaxed. Remember that we picked the date because it was (statistically) most likely to be the hottest day of the year? Well, I think that might have been the day before! It was sweltering, and left a lot of our guests considering their outfit for the next day. Many men even considering wearing Tshirt and shorts to the reception! On the day of the wedding, however, I woke to find dark clouds covering the sky. Fortunately, the clouds broke and, while not as hot or as clear as the previous day, it didn’t rain and was in fact probably the most perfect weather we could imagine – I guess they’d say cloudy with sunny spells. It was dry and comfortable – and that was gorgeous! The weather meant that we could get married on the porch and our 40-50 guests could sit outside. With a week to go before the wedding, we decided to get a harpist to play while we waited for the bride to arrive, and of course to ‘walk down the aisle’. It was a good decision looking back, as we only had live music the whole time. I was 30 minutes late for the ceremony, which was quite a while seeing as I had been getting ready just upstairs in the bridal suite of the house! But no one had told me I was that late and so I was unaware. Apparently Daryl had a few comments about it as everyone waited for me to arrive!! After the ceremony we had drinks on the lawn, peach bellini’s and canapes. 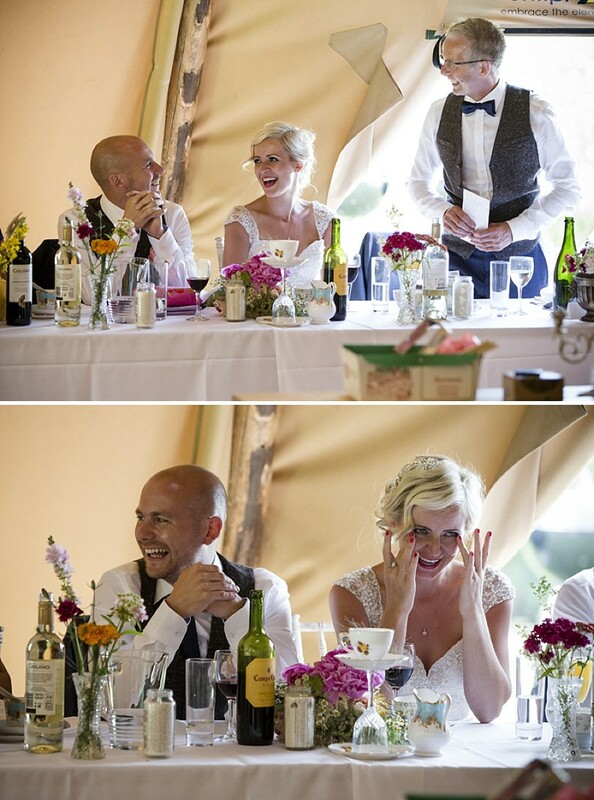 We disappeared for a few photos before sitting down for dinner, drinks and speeches in the tipi. Dinner was delicious and everyone’s speeches were both touching and funny, exactly what you hope for I guess. The evening reception was also held in the tipi where we had a band, a bar and a dance floor! It had been the perfect day but I really think we saved some of the best til last – our band, Hermitage Green, were incredible and really helped top the day. Everyone joined in dancing, singing and having the time of their life. 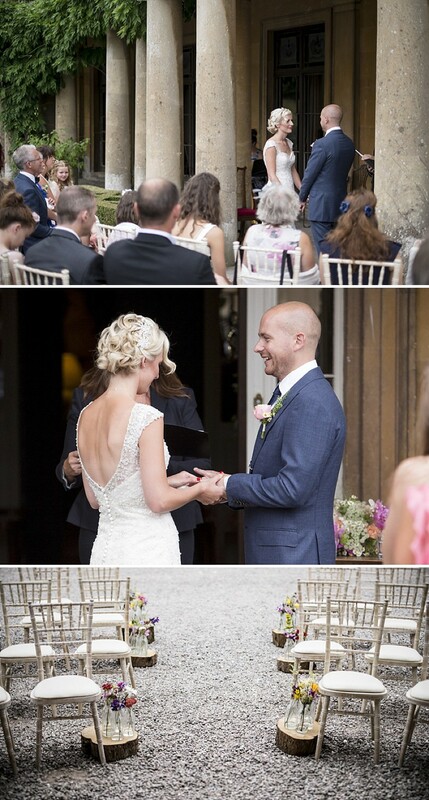 It all started with our first dance – ‘I Will Wait’ by Mumford & Sons, the perfect choice. I think it surprised everyone when we started swinging around in circles! I remember feeling dizzy and my hairpiece falling out but most of all I remember everyone smiling and singing along. Even the generator catching on fire couldn’t ruin the day. The power cut off for a little while and the band played a song or two acoustically while Daryl’s brother in law (also a fireman) and friend (that lent us the generator) got to work putting the fire out and getting the generator back up and running! Much to the band (and caterer’s) relief. Prickly Pear did the food and it was delicious, we had pate for starter – Daryl’s favourite. For our main course we had Beef with sweet potato mash, greens and red wine jus. I LOVE dessert and couldn’t decide on one, so we went for them all! We had a dessert tower with lots of mini delights, it was perfect and went down a storm. The wedding cake followed the natural theme with a vanilla and chocolate sponge covered in fruit and flowers and topped off with a little mini bunting with the words ‘Hitched’ made by My Vintage Flower. For wedding favours we went with scratch cards, we asked everyone to wait until we finish the speeches so everyone could scratch them together. It was a great finish to all the formalities and we had a few winners, nothing big though! We decided to do a bring-your-own with drinks and also had a free bar and two cocktail drinks dispensers with Daryl and I’s favourite cocktails. We labeled them up and we wanted to see who’s would win, but to be fair they both went by the end of the night but I was drinking his too! Our wedding invites were designed and printed by Colourbox. They captured the feel to the wedding exactly, it set the tone for what was to come. They were hand tied with ribbon like a little parcel, stuffed with note book confetti and sealed with a seal. My advice would be don’t buy expensive shoes as you don’t see them! Also, choose an amazing photographer as they will capture every special moment for you to relive again and again. For me one of the special moments was just dancing on the dance floor and looking around and seeing everyone we love have an amazing time dancing and laughing – wicked! Da’s favourite moment was the first dance, because it was funny and special as we got the band to play our song. Also the day after the wedding we engraved our initials into a tree at Penpont, just like out wedding invites and table decorations, hopefully it will be there years to come. 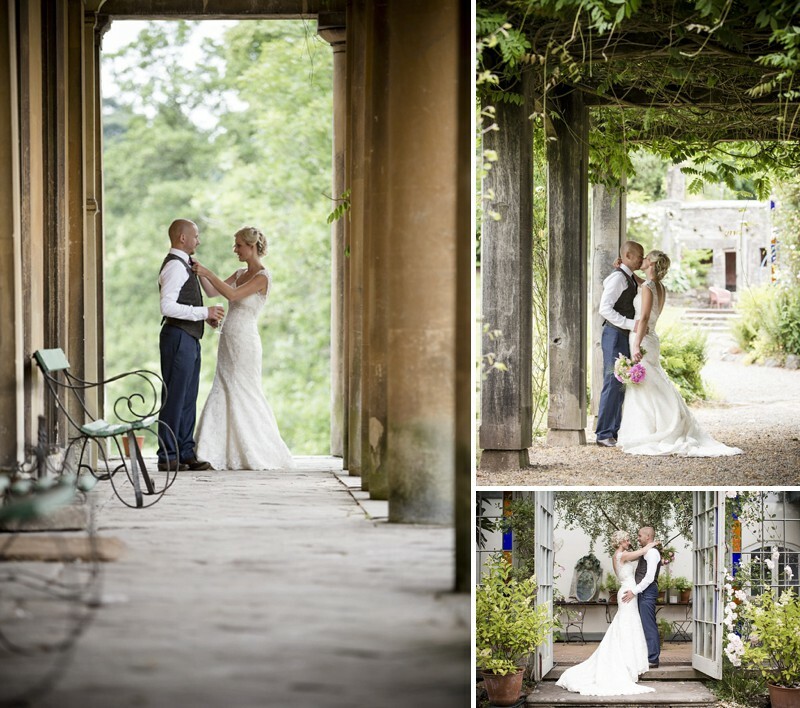 Our photographer Martin Ellard from My Big Day Photos was outstanding. He captured every single detail and special moment. He was dedicated and stayed until there was nothing else to shoot. The final photos are magical, they are everything and more we’d hoped for. 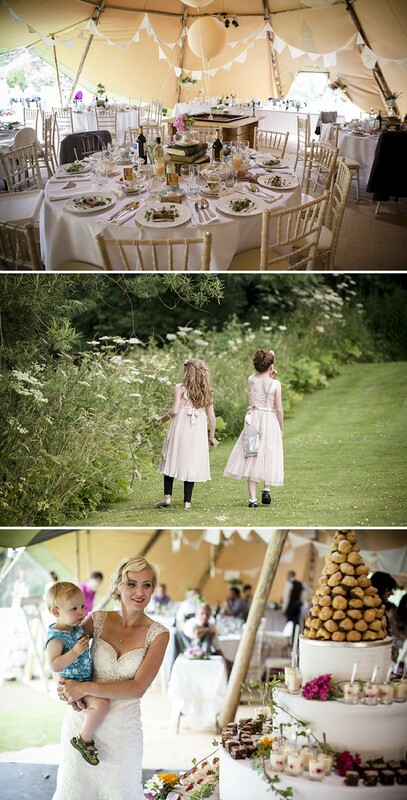 The styling from My Vintage Flower looked wonderful – from the kids fun suitcase to the vintage bunting. Such a personal touch, it represented us totally. Each centerpiece was original and unique for us, every piece of china was sourced to suit our relaxed and organic feel. The table looked magical with our personalised rustic tree trunks and old worldly books. We were really pleased with it all. The images make you wish you were there don’t they? Martin Ellard really has captured both the hazy warmth of a summers day AND the overwhelming sense of love that only a wedding can bring. What a beautiful wedding! and such pretty styling and floral detail. Oh my god I want your dress, its absolutely gorgeous!! And the dessert tower is an amazing idea! Would love something like that at my wedding! 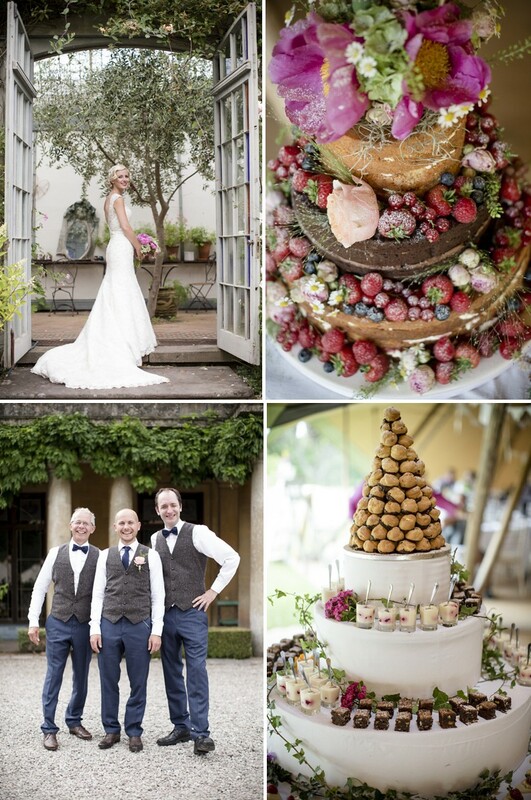 Love the brides look, and that cake is amazing! Amazing photography. Love every single shot!! 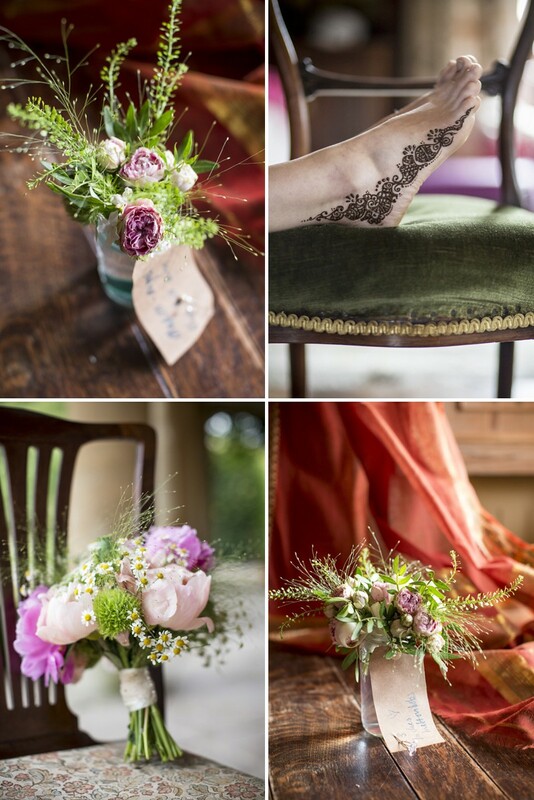 Beautiful wedding, love the flowers, the styling, the photography and the vintage appeal. Breath taking.